IT is becoming infinitely more complex—software is increasingly diverse, the number of systems that need to be managed is exploding, and change is accelerating up and down the stack, particularly as a result of Agile and other iterative approaches to software development. According to industry analysts, 70-80% of IT spending is operating expense, and half of it is attributable to application deployment and deployment-related tasks. This is particularly true for Microsoft Windows environments—which make up 74% of the data. 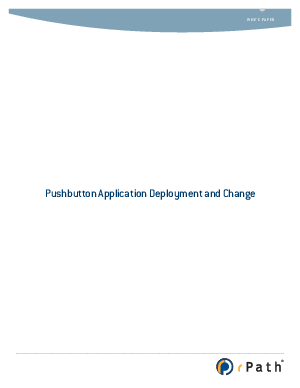 IT organizations need a new approach to automating the deployment and change of their ?applications. Read this white paper to learn how rPath's approach to automation relieves IT from the classic tradeoff between speed and control. It enables IT organizations to deliver applications much faster—in minutes—while maintaining control.